Cooking and cleaning crabs is a fairly easy operation, but you can also buy most types of crab already cooked and cleaned. The largest varieties are sold already partially broken down (Alaskan king crab legs, for example). Start picking crabs by breaking them in half (or quarters for larger specimens). Most varieties can be broken by hand, but tougher shells can be tackled with a heavy knife or cleaver, if necessary. With a simple twist and a pull, most crab legs will separate from the body easily. Larger crabs may require a nutcracker to ease the separation. Some people start with the body meat, but the sweetest nuggets of meat in the claws are nice to get to straight away. Even smaller crab claws will need to be cracked since the shell on the claw is thicker than on the other legs. A nutcracker or lobster cracker is a popular choice. A flat meat tenderizer—one solid whack and the claw cracks open enough to pull apart—works as well. 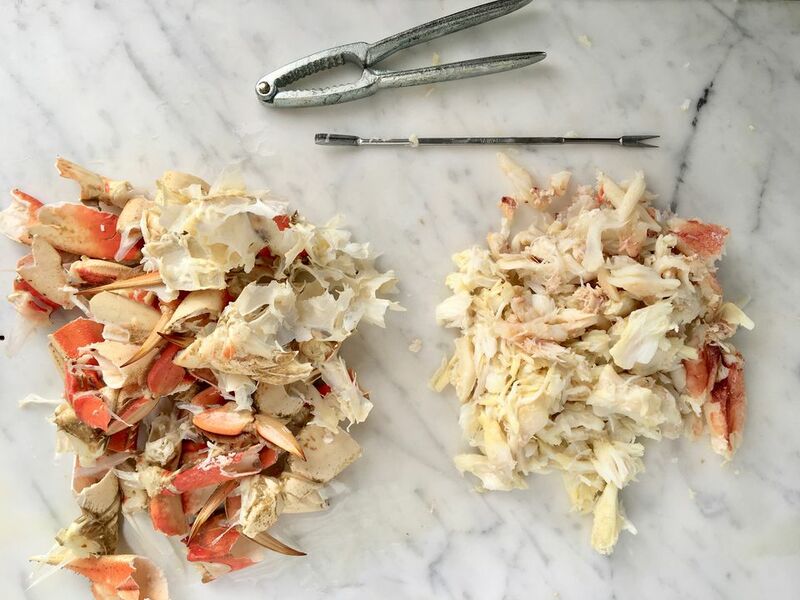 Whatever tool you use, start with minimal force and add more until the shell cracks—you want to avoid too much shattering of the shell and thus having too many shards of shell in the crabmeat. Use a small fork (skewers and chopsticks work well, too) to remove the meat from the cracked claw. Once you have a claw picked clean, you can use the pointy pincer to pick out meat from the rest of the crab. You can crack the legs just like the claws, but many crabs have soft enough shells on their legs or you can snip them open with a pair of kitchen scissors. The choice is yours! 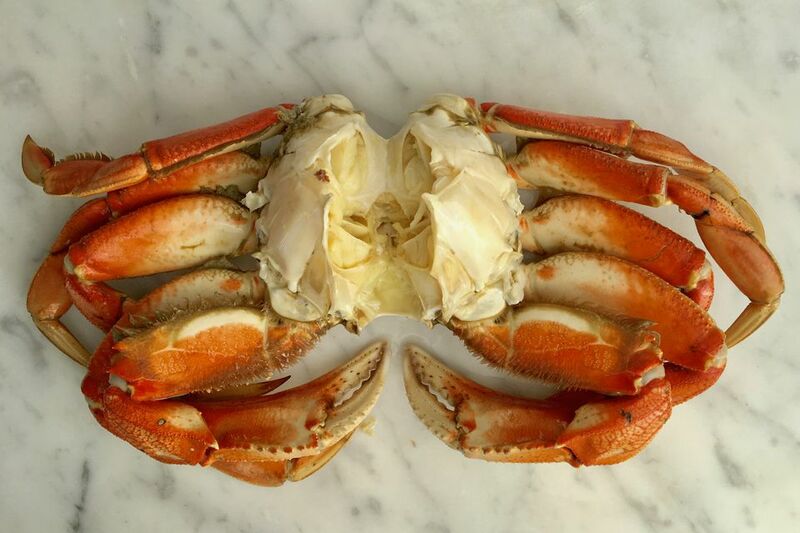 If you've split the leg shell cleanly, you'll be able to pull out a solid piece of tender, sweet crab meat as a reward. Some crabs, such as blue crabs and stone crabs, won't have much meat in their bodies to bother with. Larger crabs will have a fair amount. The body meat isn't, generally speaking, as tender or sweet as the claw and leg meat, but it can still be worth getting, especially since it's fairly easy to remove. Just use a small fork, pick, or pincer to pull out the meat from the different sections of the body. Obviously, you can do the claw, legs, and body in any order you like. If you haven't been eating the meat as you go, you'll have a nice pile of fresh crab meat when you're done. Use in salads, soups, or simply pile it on fresh bread, spread with butter or mayo, and enjoy the fruits of your labor.